The Prince of Wales Pier, named after Edward VII who, when the Prince of Wales, laid the foundation stone in 1892. 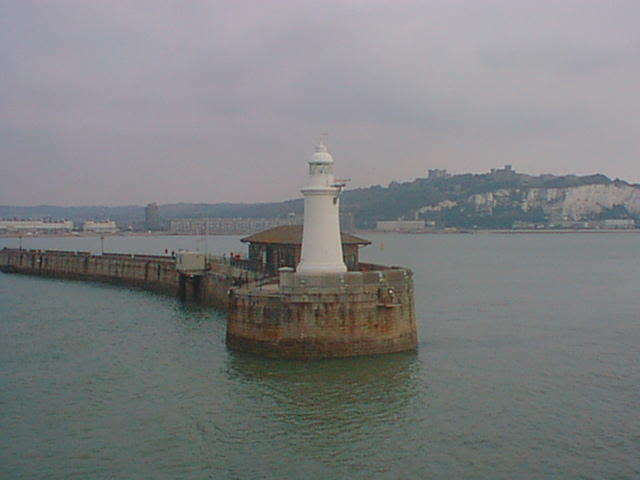 Accessed from Dover Seafront, The Prince of Wales Pier is best described as “family-friendly”, where mums and dads or grandparents can take their youngsters to fish in safety. A variety of fish can be caught from Dabs and Plaice, Codling (autumn and winter) and Mackerel in the summer months. There is a café at the end of the Pier open most days (including weekends), and supplies a wide range of hot and cold food and drinks. The Pier offers shelter although anglers (young and old) are requested to keep tackle, bait and fish off the seats. 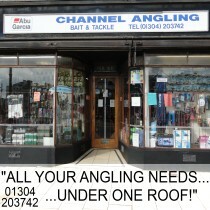 It is also within easy walking distance of Bait & Tackle shops in Snargate Street, just across the swing bridge separating the Granville and Wellington inner yachting basins. Anglers with disabilities are able to take their vehicles along the pier with prior arrangement from the Marina Office which is situated on the landward side of the swing bridge. Call the Dover Harbour Board on +44 (0)1304 240400 and ask for the Marina Office.